Albany, NY – August 10, 2015, Blasch Precision Ceramics, Inc., an Albany-based ceramic technology manufacturer, announces the recipient of their FY2015 Achievement Award. The Achievement Award at Blasch Precision Ceramics is a highly regarded award among Blasch employees. This year’s choice of Silvia DiCarlo, Senior Customer Service Coordinator, was not a difficult one. 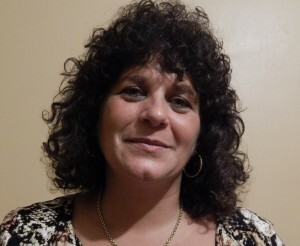 Silvia has worked hard to ensure that our customers receive the highest level of customer service possible. In addition to being our customers’ liaison with sales, manufacturing, and engineering, Silvia oversees Blasch’s export shipping requirements. Within FY2015, she achieved 100% compliance on export shipping. “Blasch’s Achievement Award singles out an individual who has made significant contributions to the organization. Our choice for FY2015 is no exception,” commented Dave Bobrek, Blasch Precision Ceramics Chairman. “Silvia truly is the voice of Blasch with all of our customers, as well as the voice of all of our customers within Blasch.” Mr. Bobrek presented Silvia with her award in front of the company, followed by a small celebration.